The author of this book start his chapter 7 with these intriguing questions. Is the God of Mormonism the God of the Bible? Is the Christ of Mormonism the Christ of the Bible? After those questions he starts to say that the problem is this declaration: "As a man is, God once was: as God is man may be." Trying to destroy this idea he quotes the best scripture to support it. "For though there be that are called gods, wheter in heaven or in earth, (AS THERE BE GODS MANY, AND LORDS MANY) but to us there is one God"." According to the writer "In this verse the apostle Paul is referring to pagan polytheism" Well that is pure assumption for many simple reasons, Paul doesn't say that first, second being the God of the heathen MYTHS, how they could be in HEAVEN LIKE PAUL IS DECLARING, they don't exist. Aside this Paul is maintain that even though there are many Gods and Lord for Us there is only one. To support his strange idea, I mean strange because in his reasoning he is giving a place in the heaven to the heathen divinities that are Myths, he quote Isaiah 43:10 that it states Before me there was no God formed, neither shall there be after me. At this point I am sure that my friend will agree that at least he believe in the trinity, probably he doesn't know that believe in the trinity makes him a politeist. At this point we could discuss the trinity, but I want to make this topic easy. We believe in trinity but every person of that is different, instead the trinity is preaching this guy is 3 person in the same person. I don't want to spend much writing on this it is enough to say that there is only a scripture in the Bible supporting this idea and it is a spurious verse, that it means many people are not believing that is autentich. I am saying this because John 1:1 doesn't support a trinity utmost a double personality. Instead we have a bunch of scriptures proving that The Father, The Son and the Holy Ghost are different personality. Jesus inherited, this means that he received something he didn't have before, he sat to the right SIDE and he became HIGHER THAN THE ANGELS, that it means that before.... You are my beloved son Today I HAVE GENERATED YOU. He didn't do his will but the will of His Father, because they had 2 different wills. He didn't know the time of HIS PERSONAL SECOND COMING, THIS IS RIDICULOUS IF YOU MAINTAIN THAT THEY ARE THE SAME PERSONS. Jesus and the Holy Ghost, apparently they could stay in the SAME PLACE!!!!!!!! You could swear Jesus and still you could be saved, but if you swear the Holy Ghost you don't have anymore choice!!!!! So if this guy wants to maintain his idea he should at least maintain that he is worshipping at least 3 Gods and that is making him a politeist even though he thinks different. Regarding The problem ""As a man is, God once was: as God is man may be." Or to make this more clear I'd like to remark that Jesus loved to name Himself like "The Son of Man"
EVEN AS I is a key. I believe in the words of Jesus when He said, "the scripture can't be broken." The scriptures mean what they say, and they say that Jehovah and Jesus are the same person, that the Son of God is separate and distinct from God the Father, that we too are the sons of God, which makes us all part of the same Family. Contradictions Concerning the Person of God. One scripture out of context can't be compared to the dozen that are declaring that God was seen many times. That is my problem with guy like this they have one, just one scripture and it doesn't matter if there are dozen different ones, that one is the right one because it fits in their theory. This guy it doesn't believe that God could have a body but he forget that Jesus was resurrected with his personal body like he proved to his apostles and with His body he went in the heaven. He is trying to say that the passages in which God seems to have a body are symbolic, so why not the verse in John 4:24? Trying to show that the Latter days saints don't have the melchisedek priesthood he wrote. Mormon historian B.H. Roberts admits that "There is no definite account of the event (the conferring of the Melchisedek priesthood on Joseph Smith and Oliver Cowdery) in the history of the prophet Joseph, or , for matter of that, in any of our annals. Well I'd like to ask him if he believes that Melchisedek had that priesthood because even for him was the same we don't have any definite account of the event, don't make this equal to Joseph Smith? What is the problem ? maybe we have the definite account when Jesus received that one? Or the Apostles? See this guy has a problem only with Joseph Smith. is he fair in his judgment? This guy maintains "The Mormons restored what was never there. There were no officers such as aaronic priest, seventies etc in the new testament church. Probably he has a very different Bible because in mine I have find those references. at the page 99 of this book he makes this remarkable declaration:"Every Christian is now declared to be a priest according to 1 Peter 2:9" But he forget that because after few verse he quoted:" The death of Christ eliminated the Formal Jewish priesthood and before at page 97 he wrote "Jesus alone, for all time, is our Melchisedek priesthood. For anyone to claim to be a Melchisedek priest today seems exceedingly unwise. 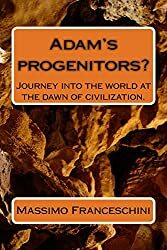 Probably he is referring to himself, because he is saying that every Christian is a priesthood but he is saying that the aronic priesthood and the melchisedek priesthood are not anymore on the earth. Please what kind of priesthood do you have? Please specify this because it is becoming a puzzle? are you sure that you know what are you talking about? After that he quoted, 1 Thimothy 1:4 speaking regarding genealogy and so on, taking out of context sure you could give every meaning you want, but are you sure that Paul writing to Thimoty was writing this, thinking about the letter he wrote to the Corinthians? I don't think so, I can't prove it, but neither you, because Paul said the sentence without specify if it was related to the baptism for the dead, your it is pure assumption. I know you refer this because today we do our genealogy, but the case is different. They kept the records for another reason, before of Christ there was not the baptism for the dead, there was no need of genealogies for the purpose you think.Did you ever realize that 1 chronicles and 2 chronicles are totally genealogy's books. Why if the genealogies are useless Matthew starts talking about the genealogy of Jesus?Anyway I want to help you to better understand this doctrine. Isaiah 14:9 this is only to make clear that they were awaiting for himPsalms 88:10-12Here it is clear is prophesied that Jesus would have preached the Gospel there. Why? for the same reason why he did on the hearth, because they could repent.......like Peter explained in this letter. There was not the baptism for the dead before of Christ, because he opened the preaching of the Gospel and above all He did open the Gate. They couldn't perform any baptism because how the dead could accept something without to be preached? Make sense? So in the old Testament it is usual don't find any regarding this because it was something for the new covenant. Hebrew 6:2 it speaks about the doctrine of the BAPTISMS (plural). Jesus did set up a sample on the earth and he said to be "The Way, the Truth and the life" Noboby can't get the kingdom of God without baptism, so what about the dead? Well the Bible speaks about "Baptisms" and the baptism for the dead, in the old testament is prophesied the opening of the gate from Jesus and I firmly believe that Jesus was referring to this when he said in Matthew 16:18-19 He was referring to the power of sealing and that the scheol couldn't not prevail.So Peter explained that Jesus opened the gate and preached the Gospel there, Paul was speaking about the baptism for the dead, we don't need to rearrange any phrase, everything it is going in the right spot smoothly and sweetly. 10 ¶ Wilt thou shew wonders to the dead? shall the dead arise [and] praise thee? Selah. Some distinctive but dubious doctrines of Mormonism. to have a better comprehension of my answer please go to "Polygamy"
Anyway before to close his chapter regarding "Polygamy" the writer wrote President Woodrouff said God told him that the EVERLASTING covenant was nul. The writer adds:" It seems to us that Mormon are damned if they do and damned if they don't, because it is rather difficult to understand, if Joseph Smith revelation was truly everlasting, how it could be annulled even temporally. Does this not make the word everlasting meaningless? 7 ¶ And I will establish my covenant between me and thee and thy seed after thee in their generations for an everlasting covenant, to be a God unto thee, and to thy seed after thee. Does this not make the word "everlasting" meaningless? Here the author speaks about the baptism of the dead. 2 ¶ Now if Christ be preached that he rose from the dead, how say some among you that there is no resurrection of the dead? among you is the key, Paul was speaking about those people that were in the middle of the saints that THEY DIDN'T believe in the resurrection so all the rest is in this context, if you find a verse in which it is said that everything was addressed to the pagans I will accept, could you do that? 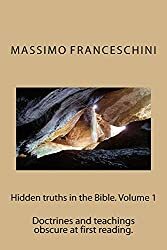 The author, who is a Baptist and therefore a Protestant, maintain that there was not an apostasy "there were various Christian groups meeting down thorough the centuries,long before, during, and after the Protestant reformation, who were never a part of the "Mother" church. he is saying that all the martyrs were the true christians and they were Protestants. Well taking this for granted don't make this the "mother" church in apostasy? If the mother church was not in apostasy how could her loose her autorithy? It is interesting because he names those true Christians:"Paulicans, brethren of the common Lot, Montanist, Paterins, Novations, Arnoldist, Cathari, Albigenses, Waldeses, henricans, Anabaptist, Baptists and the well know churches springing out of the Protestant reformation, such as Lutheran, Presbyterian Methodist and so on. So trying to prove that there was not an apostasy he gives us a proof on the contrary, because all those peoples had and have a different beliefs otherwise they should have only one faith not hundred different doctrines. Anyway the crucial point is this. According to the Mother Church they were apostate and they were excommunicated. Luther, the Father of the Protestants was excommunicated from the Catholic church, if there was not apostasy his excommunication was official if there was he had a problem to show us who gave him the same authority that "Mother" church lost for centuries. The author wrote:' There is only one "true church" mentioned in the Bible, and every true believer, Baptist, Methodist, Lutheran Presbyterian, whatever, belongs to that church the moment he or she receives Christ.Well that is pretty strange, what is the difference between a believer, catholic for example or lds or Protestant? all of them believe in Jesus so according to this guy everybody will be saved. After trying to give a better understanding of this he wrote:"There are hundreds of churches (Thanks) and denominations, and some with no denominations, that teach basically the same (then why they don't join togheter?) thing about Jesus Christ and his wonderful salvation and also all major, fundamental doctrines of the Bible (could you believe that?). That is why hundreds of different churches and denomination can get togheter happily to hold city wide evangelistic meeting. well in what this guy was trying to explain it is pretty clear to me that he has no idea what really means unity of faith. The writer maintain that the Bible is the final autorithy, while the Mormons teach that the revelation by the prayer is the key to know the truth. He quote :' Mc Conkie "The spirit of revelation consists in having thought placed in one's mind by the power of the Holy Ghost" But according to this guy this is not true and he quotes"The word of God says that we cannot trust our OWN thoughts ( But Mc Konckie didn't say that) because we have reprobate minds> But he forget that Mc Conkie was speaking about the influence of the Holy Ghost, this guy don't support neither the Holy Ghost!! He wrote:" In trying to verify the autorithy of Mormon teachings, Mormons sometimes declare that they had a " burning bosom" and after that you should pray to know the truth.The psychology of this, as well as the satanic trap, is obvious. well it seems to me that the Bible support those kind of things. and what about the revelation to be superior to the Bible? so at this point I want to conclude this topic. I'd say that the promise contained in the book of Mormon satisfy completely what is contained in the Bible. After this the writer maintain this:"Since no other revelation is needed, prophets, in the sense of getting revelations directly from God, foretelling future events, and recording them as God given scripture are NO LONGER IN THE CHURCH TODAY. well at least this guy should admit that at least John has to prophesy more than just a revelation, where are those prophesies? 3 ¶ And I will give [power] unto my two witnesses, and they shall prophesy a thousand two hundred [and] threescore days, clothed in sackcloth. well if we have here at least 3 prophets, including John how could we maintain that prophecy should be over at the death of Jesus? Make sense? At the end of this chapter the author did a masterpiece, at the beginning he was saying that feeling are deceitful and he was working hard trying to show that the feeling are no good and at the end he gives us the proof of how deceitful he is. read this. he wrote:" Several weeks ago, I was presenting Christ and His free and INSTANT salvation to 2 Mormon ladies. Both of them asked Jesus to save them. One lady, who has four Mormons sons who served as missionaries, raised her head and exclaimed, "Vivian, Vivian, you KNOW THAT BURNING FEELING our leaders talk about and you never get, and you wonder what it is? I've got it, I've got it! Needless to say, she based her instant salvation on Jesus and His word but felt that this was a BONUS. Christians DO not ordinarily get or depends on such. god gave this dear lady a special bonus. Could you believe that? This guy is saying that in that special occasion what ,usually was a means of Satan in that particular case was right. probably he thinks that we are stupid but we are not. So we have another case in which the author is scoring in his own basket. I don't want to debate faith versus works for a simple reason, useless but I want to make some excellent remarks. Jesus received 3 times a sharp question: Master what I have to do to obtain the eternal life. Unfortunately for the Protestant always he gave the same answer: Obey the commandments!!! when he was speaking about the Judgment he put the sheep on the right side because they did the works and on the other side the Believers ( Yes believers because they were saying Master when we saw you...) that they didn't do the works. 9 I know thy works, and tribulation, and poverty, (but thou art rich ) and [I know] the blasphemy of them which say they are Jews, and are not, but [are] the synagogue of Satan. well know read what this guy maintain and probably you will laugh at it. This is interesting because I know that THou shalt be saved it is a future tense not a present tense. anyway this ridicule doctrines was not taught from Paul because he clearly declared this. 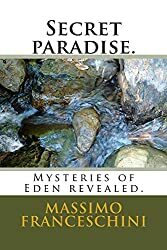 Instant salvation is not in the Bible, unfortunately in this book "Mormon Illusion" there are many strange ideas but if I could rename it I would in "the Protestant delusion" because it was not able to give us neither a clue about what he was trying to prove.